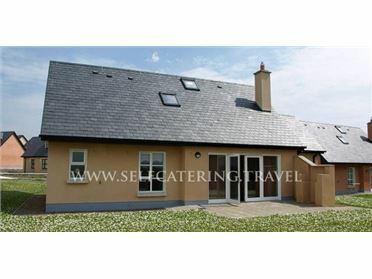 The small, quiet village of Carna in the heart of the Irish speaking area of Connemara gaeltacht is set on the shores of Galway Bay, overlooking Galway Harbour, in the scenic region of Connemara. Carna is noted for its traditional Irish music and singing, and music sessions are held weekly in the local pubs and hotel. For walkers, runners, cyclists and hillwalkers,the area provides opportunities unrivalled for their tranquillity and scenery. A great base for anyone wishing to explore the wonders of west Ireland. Oil central heating with multi-fuel stove. Electric oven and gas hob, microwave, fridge/freezer, washing machine, tumble dryer, dishwasher, TV with Saorview, DVD, CD/radio, WiFi, selection of books and games. Fuel, power and starter pack for stove inc. in rent. Bed linen and towels inc. in rent. Cot and highchair. Ample off road parking. Courtyard with furniture. One well-behaved dog welcome. Sorry, no smoking. Shop and pub 2 miles. Note: The advertised property is all ground floor as the upstairs area is not in use. .